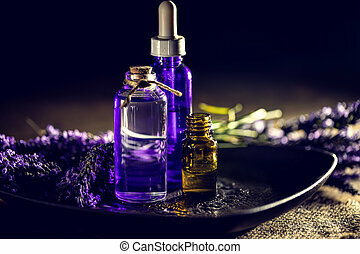 Essential oil. 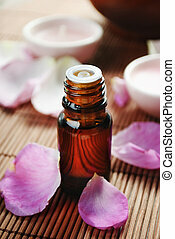 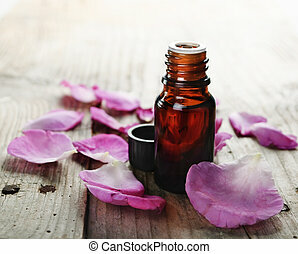 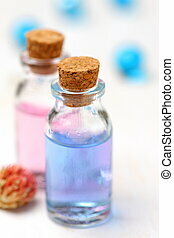 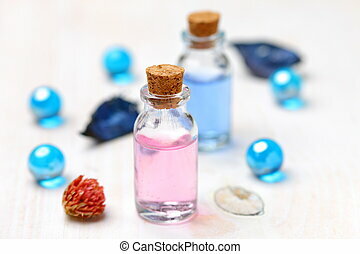 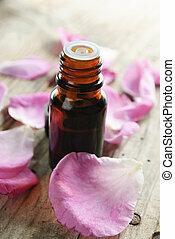 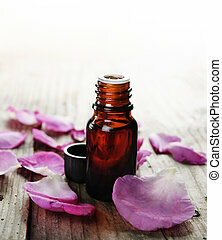 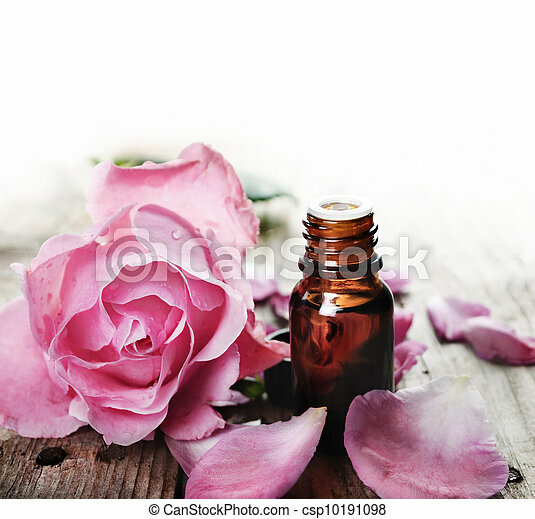 Essential oil with rose petals on wooden background. 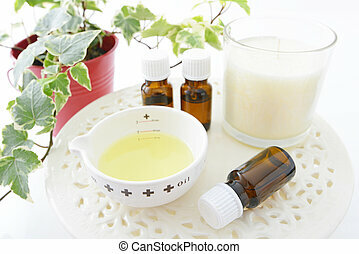 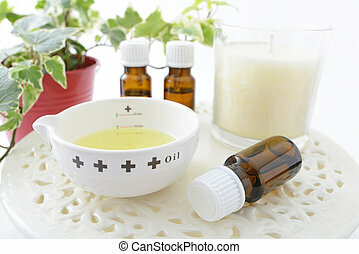 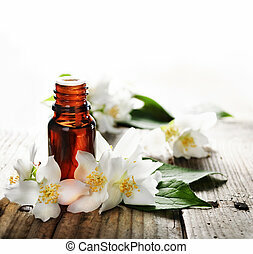 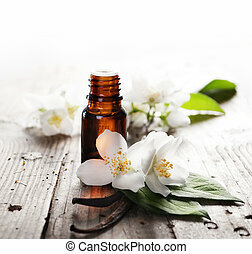 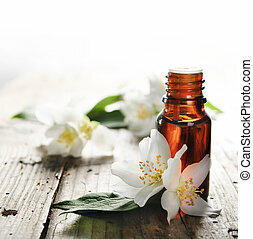 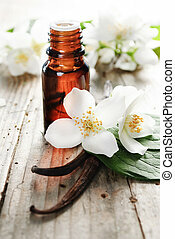 Essential oil with jasmine flower and vanilla. 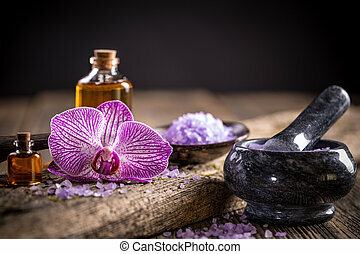 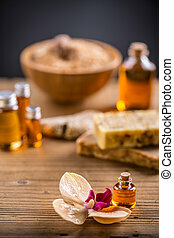 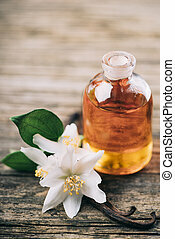 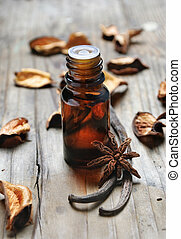 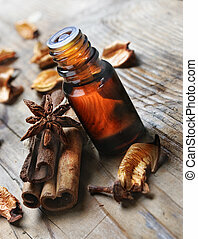 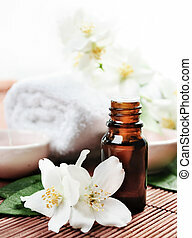 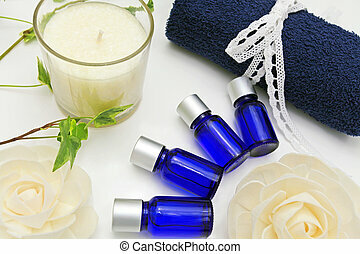 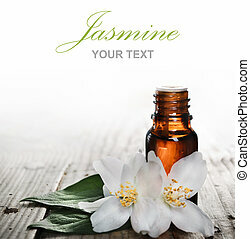 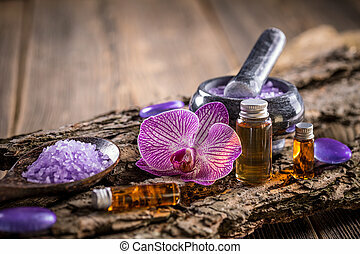 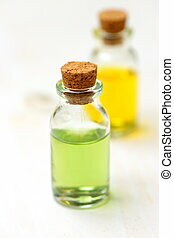 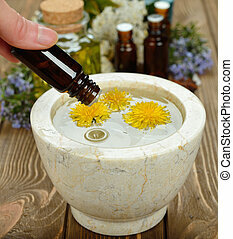 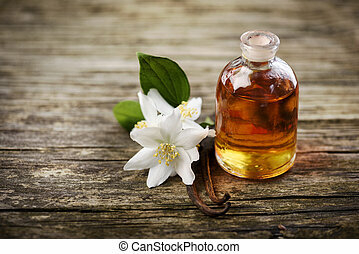 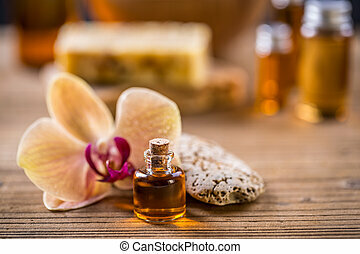 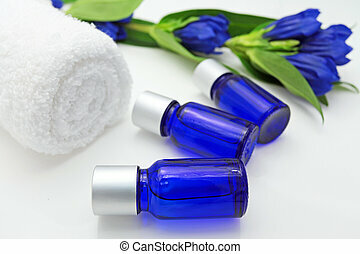 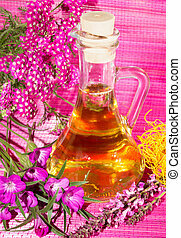 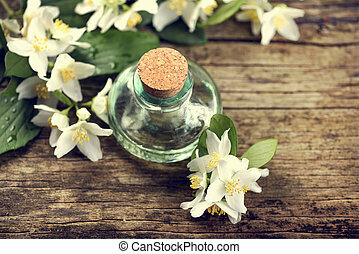 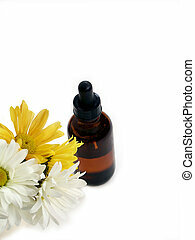 Aromatherapy massage oil on rustic wooden background.